Presented by Anne McElvoy. With Eugenia Cheng talking about maths and playing the piano, Palestinian-American novelist Susan Abulhawa in conversation and Gregory Tate on Napoleon. Dr Eugenia Cheng says she aims to rid the world of maths phobics. She discusses the links between maths and playing the piano with Anne McElvoy. 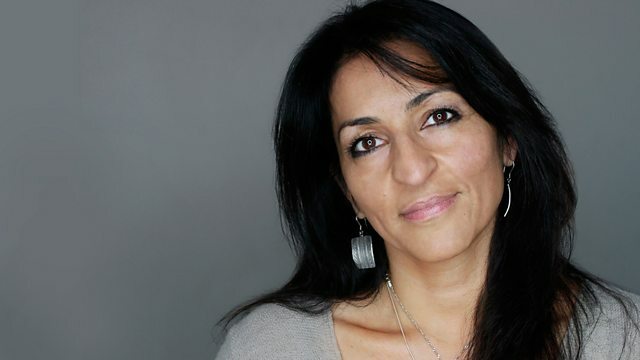 Susan Abulhawa was born to refugees of the 1967 war and is a founder of Playgrounds for Palestine. Her novel Mornings in Jenin has been translated into 25 languages. And as preparations ramp up for events marking the bicentenary of the Battle of Waterloo - Dr Gregory Tate, one of the 2013 New Generation Thinkers, joins Anne to discuss his new research into the way British writers were inspired by the figure of Napoleon. Susan Abulhawa's new novel is called The Blue Between Sky and Water. Eugenia Cheng's book is called Cakes, Custard and Category Theory: Easy Recipes for Understanding Complex Maths.